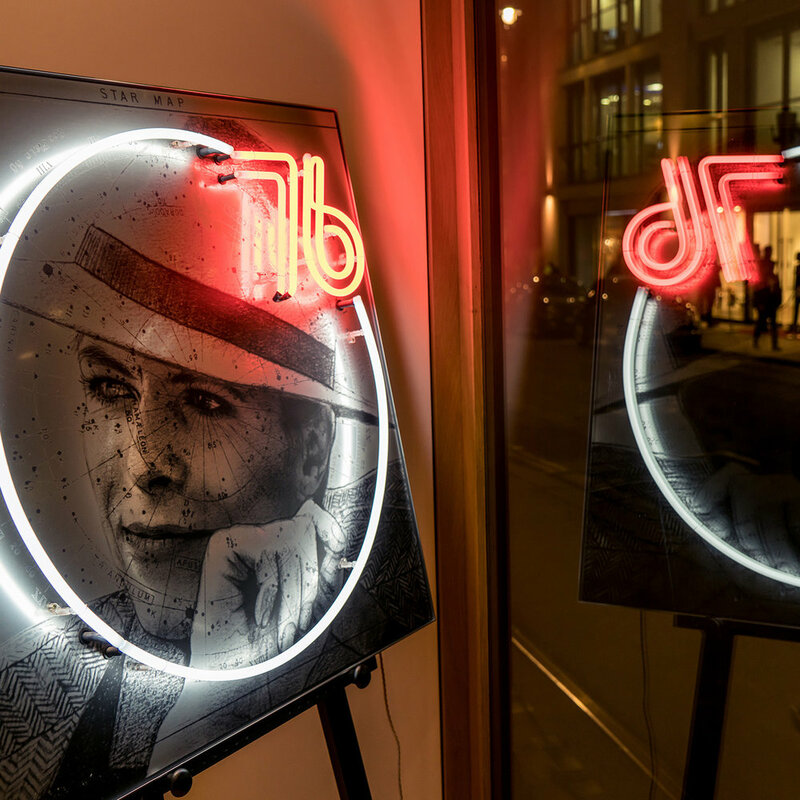 " The highlight of my Aston Martin "Neon Icons" exhibition was a collaboration with legendary photographer Terry O Neill. This piece is based on a photo Terry took of David Bowie during filming of "The Man Who Fell To Earth" in 1976 on location in New Mexico. As a Bowie fan, it was a real thrill to look through all the contact sheets from the shoot to select exactly the right image to work from." No other living photographer has embraced the span of fame, capturing the icons of our age from Winston Churchill to Nelson Mandela, from Frank Sinatra and Elvisto Amy Winehouse, from Audrey Hepburn and Brigitte Bardot to Nicole Kidman, as well as every James Bond from Sean Connery to Daniel Craig.